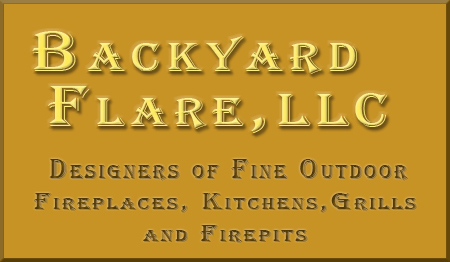 Our next featured builder is in The Keystone State, Pennsylvania. Snehal had a huge vision with this massive structure. 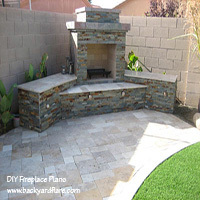 Dan with Backyard Flare designed a custom pizza oven, that was incorporated into a Saguaro fireplace. 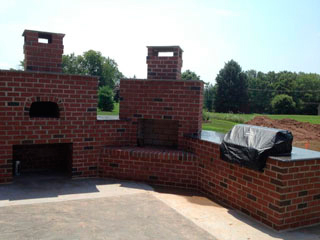 To the right of the fireplace is an outdoor kitchen area as well. 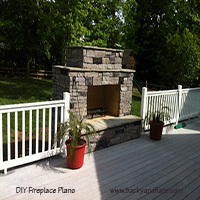 Snehal had a brick veneer added to the outside of the cinderblock structure which perfectly matched his house. 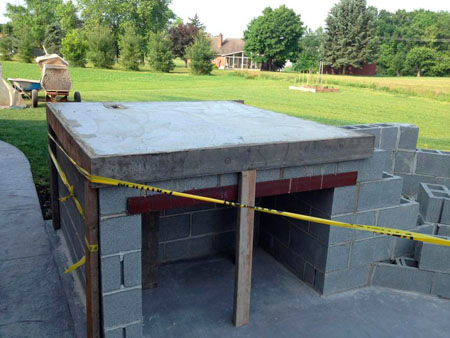 The pad was poured on the base for the pizza oven. You have to appreciated suspended concrete! 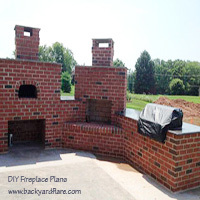 Below the pizza oven is a large void for firewood storage. 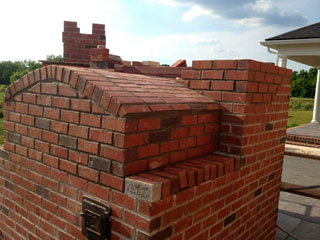 The brick veneer was added to the surface of the cinder block structure. 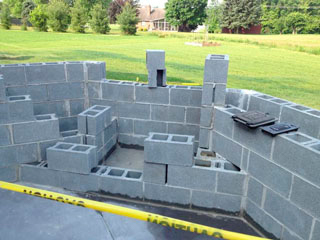 It looks like it was built when the house was built. 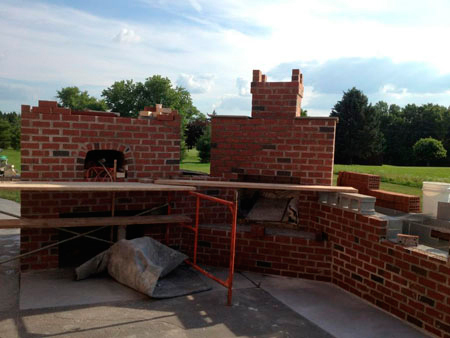 The pizza oven was completed (minus a chimney right now) with a trap door for ashes on the back of the structure. What a great job. 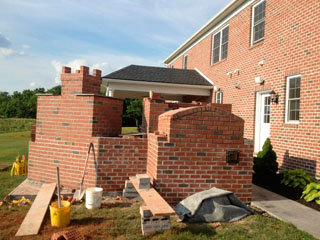 The fireplace chimney will be capped with a stone. 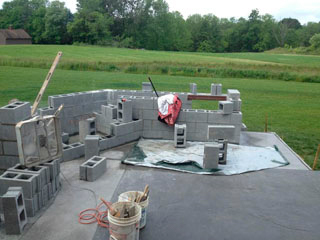 The right side of the structure is taking shape as you can see the cutout for the drop-in grill. 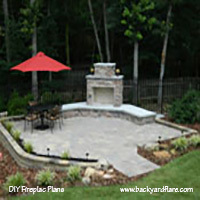 This design is fantastic and will provide many years of enjoyment to Snehal and his family. 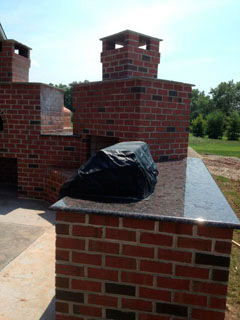 The final touches were put on the fireplace and grill area with added granite and chimney caps. This structure turned out beautiful. A grand backyard addition to say the least.